White is the colour of purity, peace and innocence. 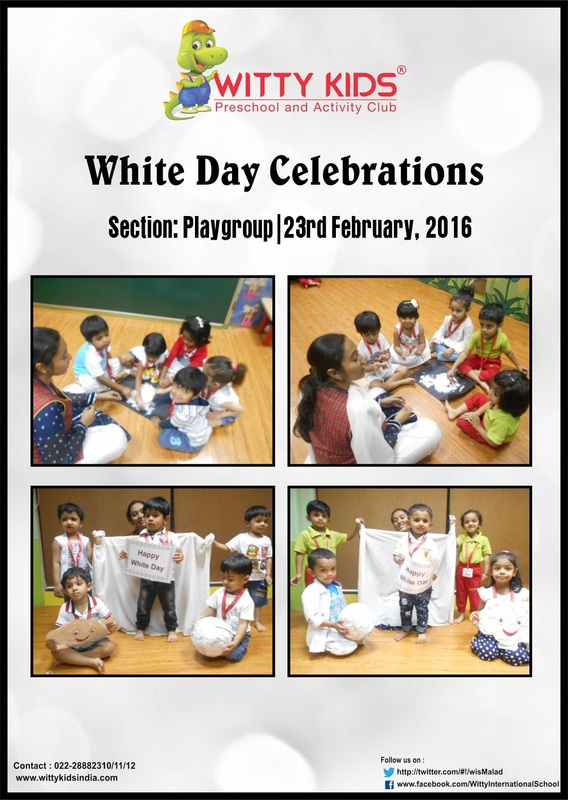 On Tuesday, 23 February 2016 children of Playgroup section at Witty Kids celebrated “White Day”. 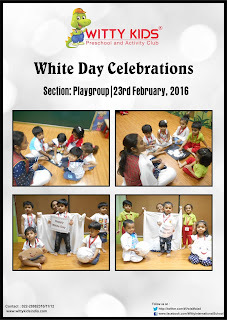 The class was beautifully decorated with white colour object flash cards. Little Angels had come dressed in white colour clothes. Children enjoyed doing the Star moonlight activity. They really had fun and enjoyed themselves to the fullest! !